Integrating manufacturing floor systems to ERP systems used to be reserved for the largest companies with the deepest pockets. Over the last 10 years, more and more of our customers are taking advantage of integration projects to increase their efficiency and reduce error rates. These projects have ranged from very basic to complex, and have varying ROI’s depending on what is being automated. In Part 1 of this series, we’ll take a look at two integration projects: silo scale or meter integration and the finished goods scale. One of the most popular integration projects takes place at the silo level, monitoring all of the incoming and outgoing dairy liquids: milk, cream, whey, and dairy blends are constantly monitored as they are brought in and shipped out of the plant. Traditionally, this information was captured by staff in the loading bays and relayed to the office via excel spreadsheet, or hand written on a piece of paper. This delay in information caused much of the production information to be at least a day behind in the company’s information system. The office staff was then forced to look at reports on production that happened yesterday or even further in the past as they reconciled their components and tried to mass balance their plant to determine efficiencies. Automation happens during intake and unloading via one of two primary methods: scales or meters. We’ve had success with both approaches at over 50 of our customers. This success has been achieved with a variety of set-ups – some of our customers have scales in the yard or a guard shack with a check-in station, and others have a more simple approach. By working together with your scale/meter company we’re able to access the data and store it in a database, allowing for a wide variety of reporting. By integrating a scale to our Producer Payroll, Liquid Procurement, or Liquid Sales Modules more reliable real time information is provided to key staff members regarding not only the quantity of liquid, but its quality – and most importantly – its location. Records are automatically stored in the database as liquids move around between CIP cycles, ensuring that traceability is kept intact. By automating the finished goods side of things, several items are accomplished. Labeling is automatic, aiding in better real-time inventory tracking. The ability to capture real time reliable production data is also improved, as production yield reporting is available almost immediately following a production run. Traceability is automated and no longer relies on the individual who is working at the end of the production line, increasing the company’s accountability for their product. Integration projects can be large or small, but there is no doubt that they have had a positive impact for our customers. The benefits of tying multiple systems together to achieve a more consistent reliable standard operating procedure help employees both on the floor and in the office. One of the core competencies of the DSI system is our ability to track components and the affect that those components have on your company’s bottom line. This topic was thoroughly discussed in an article “Why Doesn’t Traditional ERP Fit the Dairy Industry” (Link Here). Taking this to the next level, several of our customers have tied their floor systems to DSI to provide more real time information on yields, shrink, efficiency, and traceability in every process zone of their plant. Keeping track of all your liquids and components throughout your dairy plant can be a daunting task. Planning and evaluating are key in discovering your plant costs and losses. Start with . . .
Assess plant manufacturing procedures as it relates to personnel and other plant equipment i.e. scales, etc. Actively monitor the procedures and personnel to keep project on track. 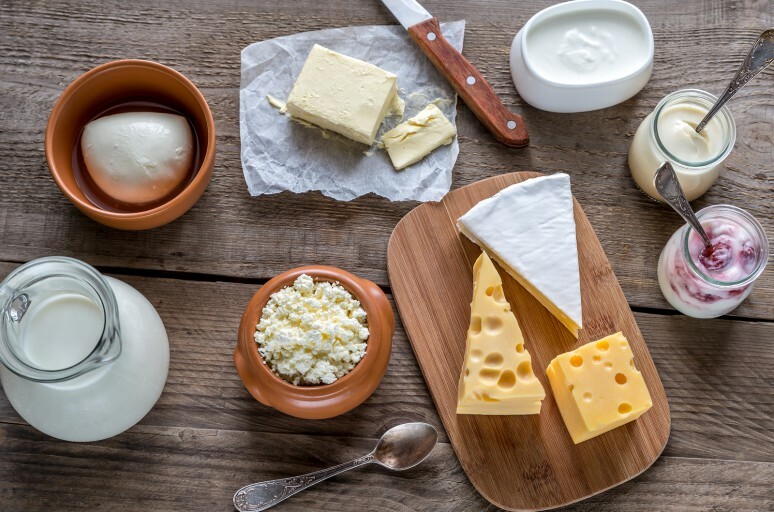 Benefits of Dairy ERP Software. . .
DSI ERP Software Solutions is the key to discovering your dairy plant traceability and profitability. Tracing dairy liquids and components from milk or liquid procurement, plant manufacturing, warehouse and distribution through to your customer or consumer. For more information about how DSI’s Dairy ERP software can provide total plant traceability, call Tom Filak at 262.723.5726. Are you struggling with your milk payroll system? Are you struggling with your milk payroll system? Is it flexible? Comprehensive? Offer a versatile producer payroll system? Does it give you the results you need to know your plant inconsistencies and shrink? DSI’s Producer Payroll software is a comprehensive milk management system for the payment management of milk purchased from producers. The system offers maximum flexibility and is all encompassing. It is flexible enough to address the varied needs of some of the country’s largest dairy cooperatives to some of the smallest independent manufactures. Providing shrink tracking, producer history information including milk component analysis and multiple payment methods with versatile premiums. It can efficiently handle producer’s pay in every part of the country, for each Federal Order rules, including California and unregulated areas automatically. The software also handles pooling, de-pooling and other various requirements of the Milk Market Administrator throughout the U.S.
As DSI celebrates 35 Years of dairy software development. . . we ask ourselves, “Where did the time go?” The Mertes family is proud of their dairy software tradition and that it is continuing with the second generation. Over the past 35 years, DSI has committed themselves to developing innovative software for the dairy and food industries. Constantly, looking for new ways to enhance, and develop their software to support and assist dairy producers, manufacturers, plants and warehouses. As we all know, the industry is ever-changing, providing many challenges, and the need for new, innovative ways to keep the dairy industry efficient and profitable. We look forward to meeting those challenges for another 35 years or more. 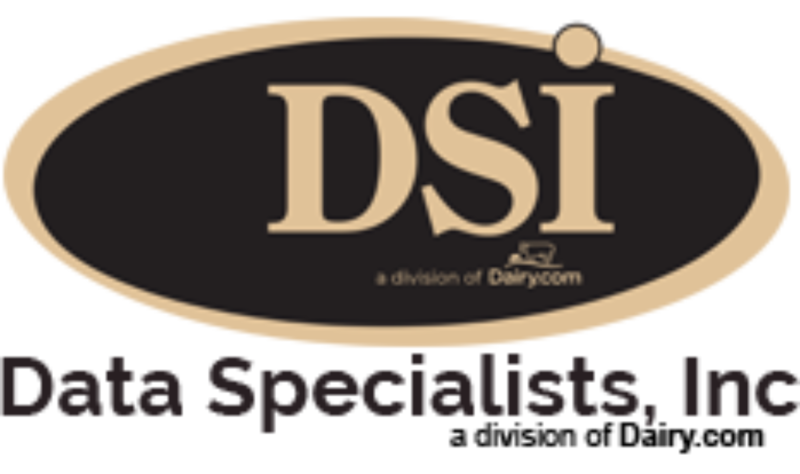 Our story begins in 1982, DSI was selected to take over a project for Kraft Foods, creating their dairy producer payroll system. At that time, our young company, with a handful of programmers completed the project, and forever changed the direction of DSI. As a result, DSI discovered a niche handling dairy procurement and production, creating products to handle the complexities of the industry. With the success of the producer payroll project helping momentum, DSI turned their eyes towards the manufacturing area, completing the core ERP functions of production, distribution, and inventory – with a special focus on core dairy concepts of components, shrink, federal reporting, and other industry specific pain points. This system was used at a variety of cheese and powder manufacturers initially, and then steadily grew to be incorporated at facilities handling fluid milk, ice creams and other products. At that time, DSI partnered with IBM on the AS400 systems that were prevalent through the late 1980’s and the 1990’s. At the start of the new millennium, DSI made several significant shifts. This included rewriting the software off of the AS400 code, partnering with Microsoft using Great Plains financials (Dynamics GP today) GL package, and creating two additional modules: Liquid Sales and Liquid Procurement. The Liquid Procurement and Liquid Sales modules were a sign of the times, handling incoming and outbound milk in bulk form, as individual plants started shying away from paying farms, and the cooperatives continued to grow and consolidate. As the 2000’s progressed, DSI evolved with the dairy industry to start incorporating more real time information, by extending its manufacturing system with the DSI’s DairyTracker mobile barcoding system, providing manufacturers the ability to track their inventory wirelessly through out the plant. The software development expanded, capturing all raw materials, scale and meter integrations, and for some of our customers – providing fully integrated systems. The last several years have brought forth several new modules as companies and cooperatives demanded more real time information and more planning capabilities. DSI responded by creating production scheduling and planning modules for manufacturing, and introducing Liquid Scheduling and the DairyHauler iPhone app, to enhance the planning and real time information capacities of both the manufacturing and procurement systems. These systems allowed customers to plan, execute and monitor their milk throughout the production process, seeing more information than they ever had in the past. Presently, DSI is focused on enhancing current software offerings through a new user interface, increased reporting capabilities, and a continued focus on real time information. We are also currently working on several new development projects that will be making their debut late this year and at the start of 2018, ensuring DSI keeps pace with the ever-changing dairy world. We thank our current customers for their partnership over the past years, without them, we would not be here and for that, we are truly grateful. We look forward to the next 35 years! Are you confident you can trace all your ingredients and/or components through your plant anywhere at any time? DairyTracker Barcode is a “real-time” mobile extension of the DSI ERP software modules. This handheld barcode software module was initially developed to handle mixed pallets of goods with the primary users being powdered milk producers who needed to track totes and pallets of bags. The product was tracked at the pallet level by item, quantity and unit count. The following generations of DairyTracker have taken DSI’s finished goods modules; Distribution, Inventory and Production, and integrates them more closely than ever before via wireless technologies. This “real-time” release includes a more robust and updated interface, an advanced relabeling function, as well as integration with third-party production systems and has been standardized as part of the mobile DSI base system. All production can utilize the same inventory build and reporting processes found within the core DSI software suite. This new level of granularity allows this software to track pallets and cases with a single scan, to identify piece-identified inventory when needed by the case, carton, each, barrel or tote. DairyTracker is an easy-to-use mobile barcode system that delivers the production floor tracking needs of any dairy and or food plant in “real-time” giving your plant personnel immediate access to where your inventory resides and what orders it is allocated to. For more information, please call Tom Filak, Data Specialists, Inc. at 262-723-5726. Celebrating June – National Dairy Month! It is June, and that means that once again it is National Dairy Month. According to the International Dairy Foods Association, National Dairy Month started out as National Milk Month in 1937. The holiday was created to stabilize the dairy demand when production was at a surplus. After the National Dairy Council stepped in to promote the cause the name changed to “Dairy Month,” and now it is an annual tradition that celebrates the contributions the dairy industry has made on the world. All 50 U.S. states have dairy farms. Dairy is one of Arizona’s highest grossing agriculture sectors. Our dairy industry currently brings in close to $871 million annually. For milk production, Arizona ranks number 12 in the nation. In honor of National Dairy Month, we have a list of 15 interesting facts about dairy. According to the 2014 Arizona Agriculture Contribution Analysis from the University of Arizona, Arizona has 102 dairy farms throughout the state and together these farms produce more than 1.5 million gallons of milk a day. Arizona’s has approximately 188,000 dairy cows provide us with the freshest milk, cheese and yogurt. Remember too, 97% of your milk in the grocery store is coming from our local Arizona Dairies. To make one gallon of ice cream you need 12 lbs. of whole milk. To make one pound of butter you need 21.2 lbs. of whole milk. To make one pound of cheese you need 10 lbs. of milk. Each day the average cow can produce enough milk to fill six one-gallon jugs, which is equal to around 55 lbs. of milk. The natural yellow color of butter comes mainly from the beta-carotene found in the grass cows eat. One dairy cow can produce around 200,000 glasses of milk in her lifetime. In order to make milk, cows need to drink a lot of water. Daily, cows drink up to 50 gallons of water. That is close to the amount of water needed to fill a bathtub. Though there are many types of cows there are two types of milk cows that are used “most” of the time for milk, Jerseys and Holsteins. Jerseys are the brown cows. They give less milk but more cream. Holsteins are the black and white cows. They give a lot of milk. Calcium, which is useful in the building of strong teeth and bones. Niacin, which is important for maintaining a healthy metabolism. Phosphorus, which aids in increasing energy and building strong bones. Potassium, to help maintain healthy blood pressure and muscles. Protein, which builds and repairs muscle tissue and increases energy. Riboflavin, helps to increase energy for exercising. Vitamin A, to help maintain healthy skin and eyes. Vitamin D, for helping to maintain strong bones. Vitamin B12, which aids in building red blood cells which strengthen lungs and muscles. According to the USDA, diets that provide 3 cups of milk (the recommended daily intake), or the equivalent of dairy products per day can improve bone mass. Milk/dairy products contain casein, which is a protein that can cleanse burning taste buds. Next time your mouth is burning after eating spicy foods, take a drink of milk to cool it off. The U.S. enjoys an average of 48 pints of ice cream per person, per year, more than any other country. Vanilla is the favorite flavor in the U.S.
99% of all U.S. households purchase milk. The average American consumes almost 25 gallons of milk a year … that’s 400 glasses! Milk can remain fresh for up to 7-10 days after the expiration date when refrigerated at 35-40°F. Because of bacteria growth, every 5° (F) rise in temperature will shorten the shelf life by 50%. With many schools getting ready for summer recess, the U.S. Department of Agriculture recently released a memo that explains how foodservice authorities can gain exemptions to bring back low-fat flavored milk to their cafeterias and campuses in the fall. The memo implements language in the fiscal year 2017 omnibus appropriations bill that was enacted in early May, which allows states to grant special exemption requests from schools for the service of low-fat flavored milk in school meal programs and as a competitive food. Significant negative feedback from students regarding the palatability of fat-free flavored milk. Although the states have the final say on granting exemptions, the FNS memo “strongly encourages” state agencies to allow low-fat flavored milk options to schools expressing interest. IDFA has developed materials that members can use to help schools apply for exemptions and support their requests. Members may log in below to access the materials. Also last month, Secretary of Agriculture Sonny Perdue signed a proclamation that directs USDA to change its regulations to allow schools to serve low-fat flavored milk in schools without a special exemption. However, this rule change will take many months to accomplish, at a minimum, so it’s unlikely to be implemented in time for milk contracts for the coming school year. That means schools that want to serve low-fat flavored milk during the coming school year will need to comply with the special exemption requirements outlined in the FNS memo. The complications of dealing with milk in a computer system that is designed for more generic manufacturing are numerous. These systems often cannot account for components, they are not able to deal with delayed pricing, class pricing, liquid inventory, and some even have a hard time with random weighted items. Notice I have not mentioned the concept of federal order reporting and class utilization, either. Generic ERP systems often require work arounds or an enormous amount of custom programming to handle these instances. For more information on DSI’s dairy and food ERP software solutions, contact Tom Filak at 262.723.5726.